She was born with a silver spoon in her mouth. Her father was a banker who invested in conservative stocks like utilities. He rubbed elbows with the wealthiest heads of industry and lived in the same neighborhood. Surprisingly they ate the worst food imaginable. She was a very popular social butterfly all her life and quite the prankster especially in college where her grades were poor. She was fired for incompetence from her first job. C'mon Mike quit fiddling around. Get to the juicy part about her love life. During high school a guy loved her but she didn't love him. During college she loved a guy but he didn't love her. During ww2 she worked for the CIA as a file clerk. She knew where every agent in southeast Asia was and what they were doing. At night after work she would listen to the CIA guys, who were the best and the brightest, thoughts on a variety of subjects. A year after the war one of them came back to look her up and said he didn't want to live without her and she said I do. Her in laws tried to teach her to cook for about a year. She couldn't do anything right so they gave up. Her husband was in charge of the art exchange with France. One day he took her to a French restaurant. While eating the meal the light bulb turned on, like when Keith Richard's mom gave him his first guitar, and she spent the rest of her life involved with French cooking. 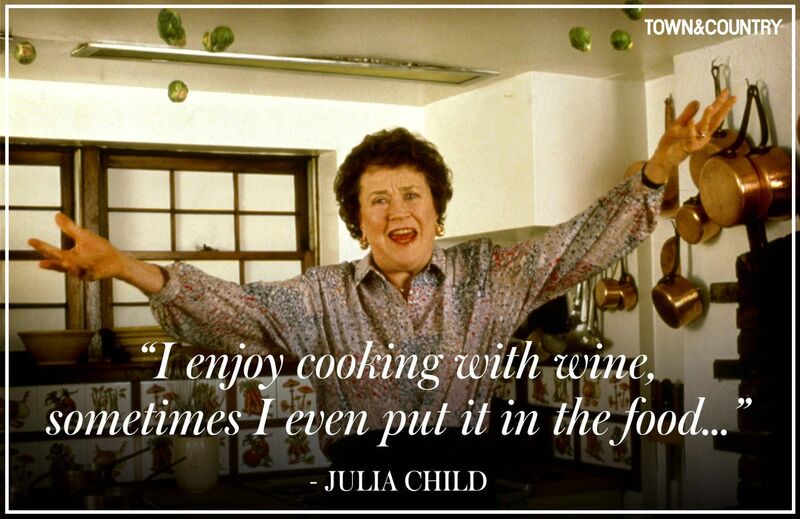 She became better at French cooking than all the French chefs in the entire history of French cooking. Her books were tour de forces. She went from obscurity to becoming a world wide celebrity and an international phenomena. Last edited by Mike65Denver; 11-23-2017 at 09:14 PM.